Woohoo! We’re halfway through the April A to Z Challenge and it’s been a roller coaster of a week, filled with Gothic tales of intrigue, bite-sized delights and villainy. I’ve fallen a bit behind on my reading, but I still managed to discover a few great blogs this week! Please do give them a visit. Into Another World It’s an A to Z of villainy over here! A daily rundown of some of the meanest baddies to grace the silver screen, along with some choice quotes and a little glimpse at antagonists in the every day. Atherton’s Magic Vapour: You sir! You seem like a connoisseur of fine tales! Perhaps, madam, I can interest you in a Gothic mystery filled with suspense and intrigue? No? That not enough for you? My, you are a tough customer indeed! How about I throw in some lovely black and white illustrations and a vial full of Atherton’s Hilarious Humor, guaranteed to make you laugh until your sorrows evaporate? Excellent! You won’t live to regret it! A Rose Is A Rose Is A Rose: Tales of wicked people and wicked deeds, at just 55 words apiece! The Armchair Explorer: Discover brave new worlds from the comfort of your armchair! A quick book review for every letter of the alphabet! That’s it for this week. It’s a short list, but that just gives you more time to explore each blog! My roundup from Week 1 can be found here, and those blogs are still absolutely awesome, so you should definitely be checking them out! 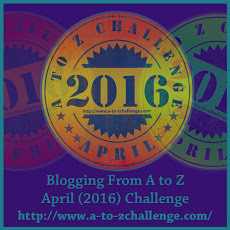 Well, my second year participating in the April A to Z Challenge is off to a great start. I believe last year, was already lagging behind in my daily posts but I’ve been ahead of schedule this time! Fingers crossed I can keep that up. There’s a break every Sunday (except the last one of this month) to give your fingers a rest – or give you a headstart for the next month! I figured I would take this opportunity to do a little roundup of some amazing blogs that I came across this past week. So, for your weekend reading pleasure, I submit to you: The A to Z Roundup, Part 1. 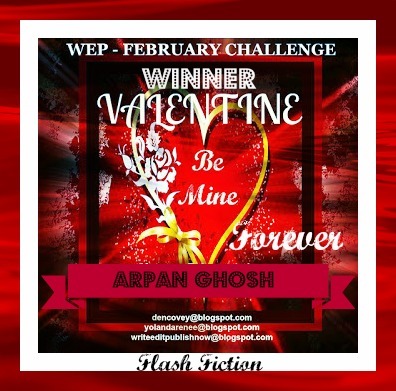 Madly In Verse: Nilanjana Bose, who I’ve come to know through our participation in the WEP challenge (and who is both a brilliant writer and all-round awesome person) provides a handy guide to Arabian culture and clears up some common misconceptions. Iain Kelly Writing: Do you like a good mystery? A thrilling whodunit? Then check out Iain Kelly’s serial murder mystery about a crafty killer and the cop hot on his(?) trail. True North Bricks: Who doesn’t love LEGOs? This fun little blog by a Finnish-Canadian LEGO fan is a visual treat for adult collectors and a trip down memory lane for those that grew up with the colorful bricks. Sorchia’s Universe: Another serial story, this time in the realms of Gothic fantasy and magic. Warring families, uneasy alliances and dark visions abound. Wolf of Words: A blog about a lover of film and pop culture that really resonates with me. Space, Time & Raspberries: Follow the saga of a poor chap named Elliot, who’s just trying to find his way through the world in search of adventure. As a bonus, you get to read the previous year’s A to Z entries as a companion piece to each chapter! Of course, this is a very narrow list. There are hundreds of people participating and I’ve only been able to visit so few of them. As the weeks go by, this list will be updated and expanded. 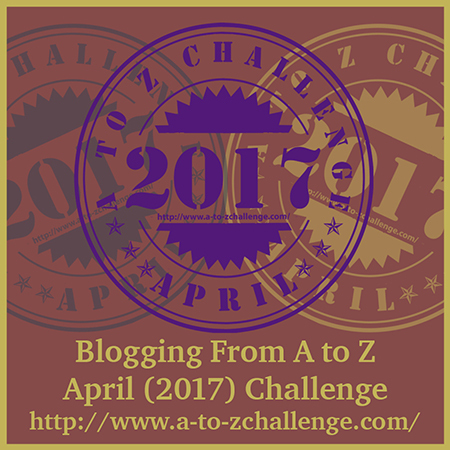 Once you’re done checking out the above blogs, I’d recommend heading over to the A To Z Challenge site, where you’ll find plenty more to choose from! Marty wasn’t having a good day. He had just found out his job was nearing its expiry date, and his love life had already crossed that threshold earlier that morning. Katie didn’t see their relationship going anywhere so she’d gone away instead. After an excruciating few hours at his desk making small talk with people he’d rather not talk with at all, it was finally lunchtime and Marty could have a few moments to breathe. He didn’t really have much of an appetite that day, so he went for a long walk instead. He could still hear Katie’s voice echoing in his head, telling him that he really needed to buy himself a new life. Marty kicked a can across the street in frustration, which was about the time he realized that he had no idea what street he was on. He stopped and looked around. None of the street signs were familiar. Neither were the buildings. His office was nowhere in sight, nor any of the office blocks that surrounded it. How far had he walked? There was a man standing on a street corner, perched on top of a small box. He was old, though Marty couldn’t guess at his age. His hair, or what little of it he had, was iron gray, as was the scraggly beard that covered his face. He was dressed in what seemed to be maroon wizard’s robes, tattered and possibly covered in dust. Marty tried not to pay too much attention to him. Marty looked around, puzzled. It was clear the old man was talking to him. After all, he was the only one there. It didn’t make any sense. How did he end up on this strange street by himself? Where was everyone else? The old man waved a hand in the direction of a derelict bookshop. Before Marty could blink, the man was standing next to him and steering him toward the storefront. He wanted to protest. He had to get back to work. He had to find his office. He had to get back to his life. Or did he? As Marty mulled over the direction his life had taken from the moment he woke up that day, he allowed himself to be led into the dingy bookshop that smelled like musty old paper. Maybe he could pick up some sort of self-help book. The old man’s eyes shone as he displayed his wares, books spread out across rows and rows of dark wooden shelves. The shop was a lot larger than it looked from the outside. Marty was back in the bookshop and the old man was eyeing him hungrily. He looked down at the book; there were words in it now. It was describing the plot that Marty had just lived. Marty’s head was still reeling from the last story, but he was curious about what else the old man had in store. Maybe the next plot would be the one for him. “Ahh, here we go,” the man said, handing Marty a heavy leather-bound tome. It was devoid of any dust, and seemed almost out of place in the old shop. Marty ran a hand over the cover, relishing the feel of it. He opened it up, hearing a soft sigh escape from the book’s spine. Like the others, it was blank. But this time, Marty wasn’t sucked into a spy story or a science fiction adventure. He wasn’t sucked into any kind of story at all. There was nothing around him except blank space. He heard a loud thump from somewhere in the distance. Marty could do nothing but stay frozen in place as the old man placed the book back onto its shelf. He was nothing more than a blank page now, doomed to stay that way until someone wrote their story. This is amazing. This is insane! I was pretty excited about the fact that, after two months of blogging, I’d amassed 50 followers. 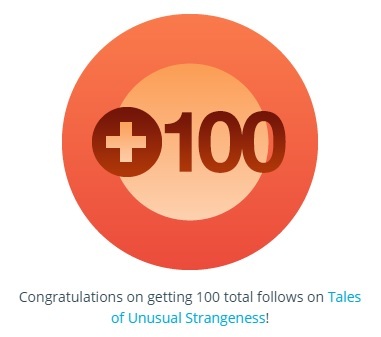 Now, two short weeks later, that number’s doubled – Unusual Strangeness is in the triple digits!